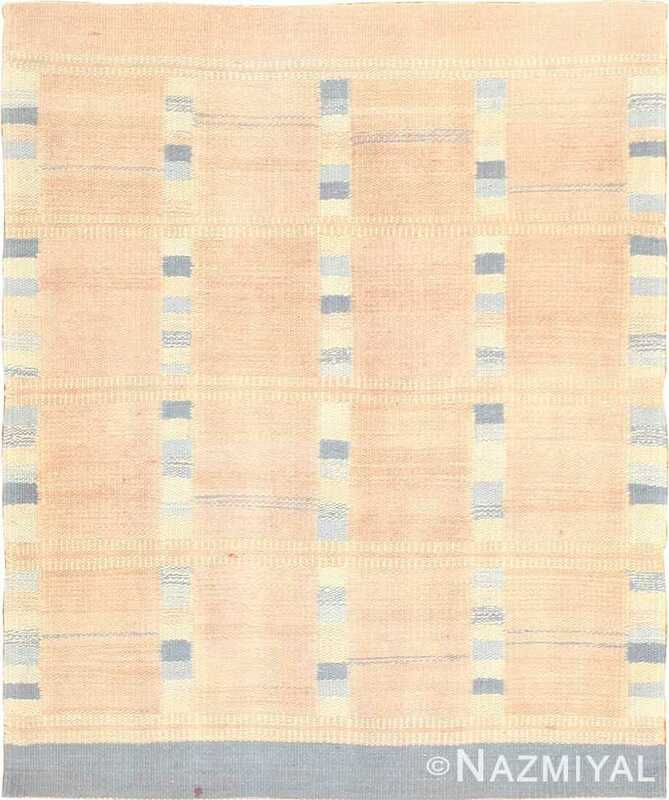 Beautiful Vintage Scandinavian Inspired Modern Indian Kilim Rug 49059, Country of Origin: India, Circa Date: Modern Rug / Early 21st Century – This gorgeous Vintage Scandinavian Inspired modern Indian Kilim rug will make a stunning addition to any collection of fine hand woven rugs. With a warm, neutral color way, this modern contemporary rug is sure to complement a wide variety of interior designs. 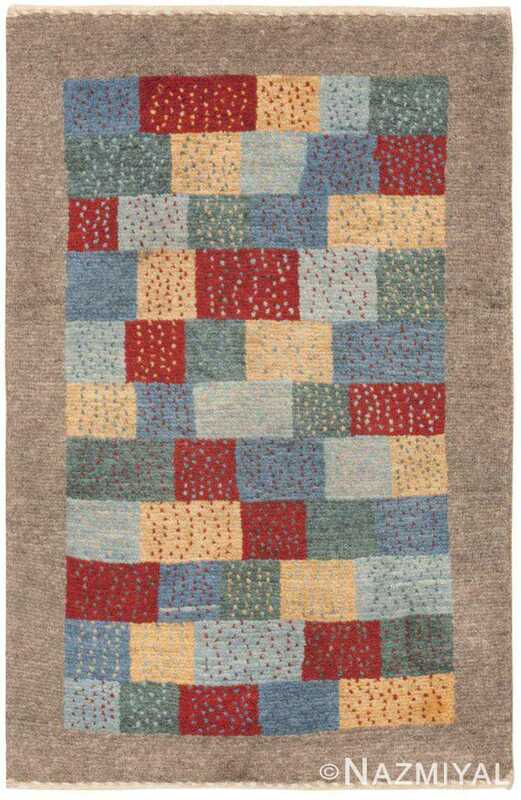 Featuring a fun color block pattern, this stunning small scatter size rug is one to be coveted by designers. It will nicely compliment any modern, minimalist interior. This is a true example of fine textile art that will enhance any room. Regardless of your personal approach to design this square size rug is sure to enhance your home’s decor. Measuring at a neat 3 feet, 1 inch by 3 feet, 4 inches, this rug’s size will nicely adorn your room, fitting into a variety of spaces. 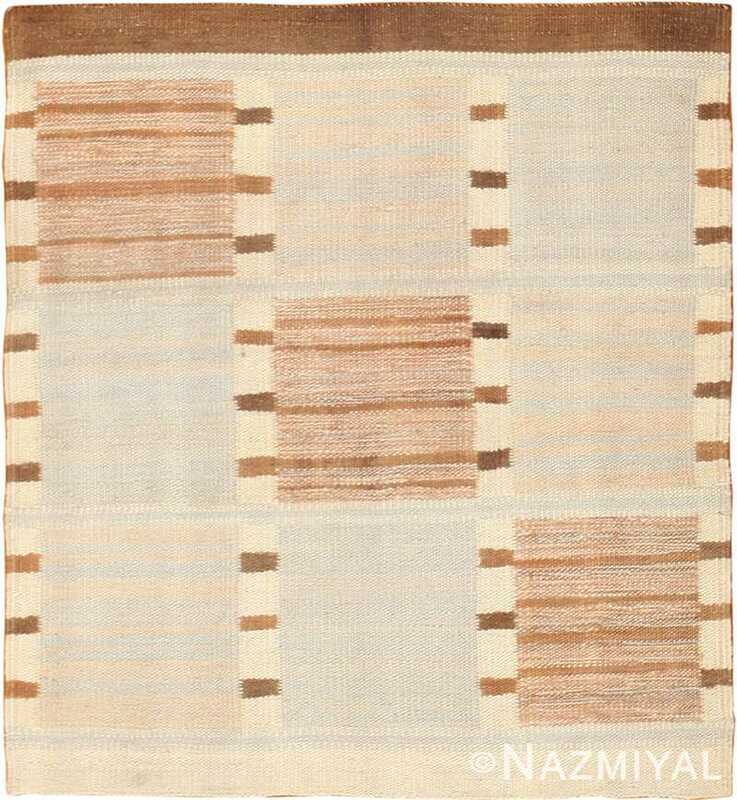 This modern Kilim rug is made with such care and high-quality workmanship, it is sure to last throughout the test of time. This charming vintage Scandinavian inspired modern Indian Kilim rug will add an ethnic charm and handmade warmth to your home’s design. 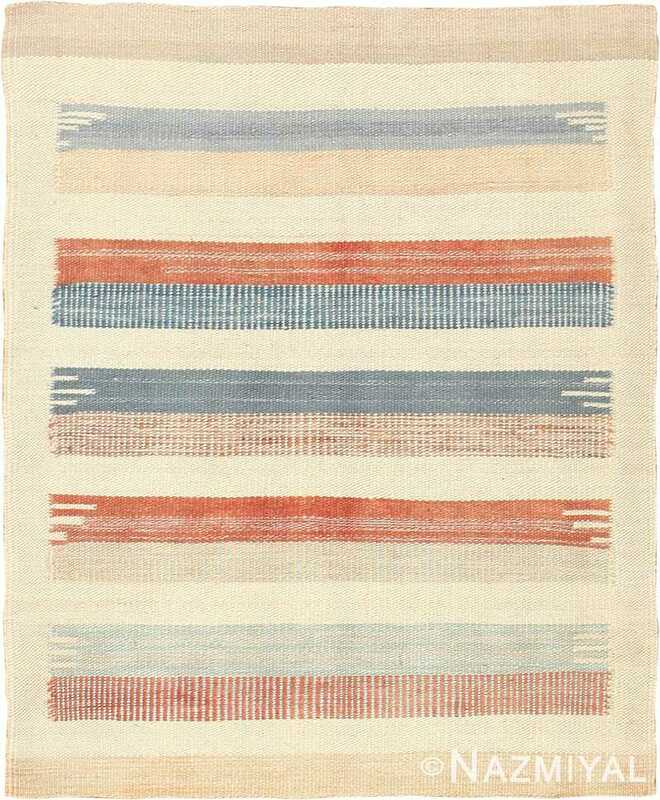 The understated simplicity of this stunning rug is truly something special. A fine piece of textile art of this caliber is something sure to be treasured for generations.